There is so much in the news and blogs today. There is an excellent discussion of the Supreme Court’s medical marijuana decision and possible impact on gun cases, the release of John Kerry’s crappy college grades, a story on how a group of yachters drove off Yemeni pirates with a shotgun but the press gives short shrift to them even having a shotgun. With so much to blog about, I can either spin about in a dither or do a "One From the Vault" post. Here goes. Seriously, I like sharing my collection with readers. I wish I had better camera equipment and skills, but I get my point across. Besides, I think these entries are worth the price of your admission to Ten Ring. As I’ve posted before, I’m fond of mouse guns; that is, small guns made to be carried in a pocket. These little guns aren’t very accurate, you can’t hunt with them, and most shoot such under-powered cartridges that you might hurt an attacker more by hitting him with the gun than with a bullet. Also, gun grabbers tend to view them as cheap, dangerous, and easily concealed. Despite all criticisms, I like them. I think they’re little engineering jewels and I have several in my collection. With that in mind, today’s victim entry is the Colt 1908 Vest Pocket Pistol, a .25 caliber pistol. Colt Vest Pocket pistols were first produced in 1908 and went through several design changes, primarily new safety features. For instance, a magazine disconnect (remove the magazine and the gun won’t fire) was added in 1916. Colt made the gun until 1948 (only one was made that year so actually 1947). The war years of 1942-1945 also halted production. About 420,000 of these little guys were made. 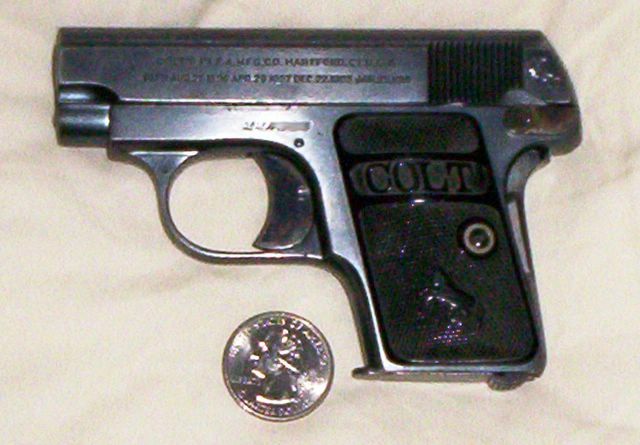 In 1958, Colt introduced a similar model called the Junior Colt. Colt Vest Pockets were popular with men and women. As a woman, the grip fits my hand perfectly. Most of the grips for these little guns are plastic, but you could order one with factory walnut, ivory, carved ivory, mother of pearl, and carved mother of pearl grips. Most of the guns were blued, but one could order gold plated, silver plated, and nickel finishes. The Colt factory offered engraving and given the number of places to engrave on a 1908, engraving could be extremely fancy. My Vest Pocket is blued with standard plastic grips appropriate to its year of manufacture. It was made in late 1919 when 43,000 of its brothers and sisters were born. Mine still has case-hardening colors on the trigger, grip safety, and slide lock safety. Most of its bluing is still intact. It is mechanically sound and complete with all matching serial numbers. It weighs only thirteen ounces and is 4.5 inches long overall. I’ve taken this little fellow to the range and it is fairly accurate up to 25 feet, at ten feet it is surprisingly accurate even though its sights are minimal. In fact they are a groove carved in the rear leading to the front with a slight lump ending the groove. I think its accuracy is a factor of how well it fits my hand. It feels like an extension of my hand though my little finger doesn’t touch the gun at all. For an 86-year-old gun, it proved quite reliable. I had one stovepipe type misfeed that could be due to ammo or a weak magazine spring. I mentioned engineering in these small packages. To disassemble all you have to do is pull the slide back a little and give the barrel a slight turn. It comes apart easily and goes together easily. All it takes is a little knowledge of how far back to move its slide and which direction to twist. Appropriately, the Vest Pocket pistol fits in a pocket of an old vest with only a little bit of the grip showing (Vest Pocket is not truly descriptive, the name differentiates between it and the larger Colt 1903 Pocket Pistol). I tried it in the watch pocket of Bill’s jeans and it fits perfectly. I can imagine a man during the Roaring Twenties putting on a suit and slipping his Colt 1908 in a pocket or a woman sliding it into a beaded purse. Colt Vest Pocket pistols represent a different era. 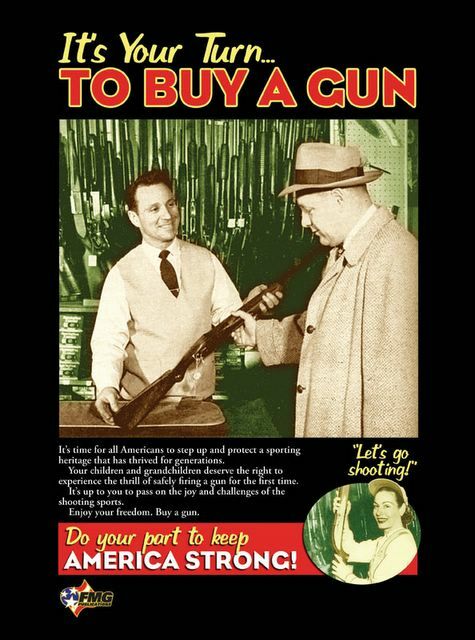 They came from a time when people didn’t question a person’s need to carry a gun. It was just done. It was a more civilized time.